A 30-year-old man who was shot while live-streaming a video on Facebook Live in March met a tragic end late Friday at a South Side gas station. Brian Fields was sitting in a vehicle about 10:20 p.m. at the station in the 1900 block of West Garfield when a gunman walked up and shot him in the chest, according to Chicago Police and the Cook County medical examiner’s office. Chiquita Ford, also 30, who was in the vehicle with him, was shot in the side. They were both pronounced dead at the scene at 11:02 p.m. No one was in custody, and police continue to investigate. A police source confirmed Fields was shot earlier this year, on March 31, in West Englewood. 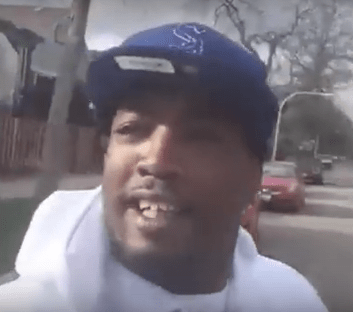 At that time, Fields was using Facebook Live, which sends out a live video stream, while standing on the corner of 56th Street and Hoyne, the Chicago Sun-Times reported. Shots suddenly rang out, and the video feed began to wobble and then dropped to the ground, pointing up at the blue sky. The shooter — wearing a red, white and black jacket then appeared above — holding a pistol with both hands, firing more shots. Fields was shot multiple times and taken to Mount Sinai Hospital in critical condition. Residents in the neighborhood said Fields had recently moved away from Chicago and had only been back in the city for a few days, perhaps hours before getting shot, the Sun-Times reported after the March 31 shooting. Court records show that Fields pleaded guilty to second-degree murder charges in 2005, and was sentenced to time already served after spending nearly four years in Cook County Jail awaiting trial. Fields is one of nine people killed in Chicago, including two teenagers, since Friday evening.